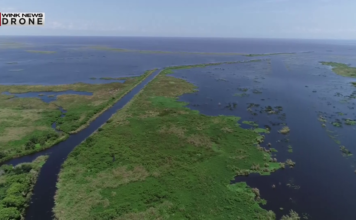 The calls for resignation, which are aimed at the governing board of the South Florida Water Management District, are growing louder and now they are headed to Washington. “It’s very obvious that their actions and their policy and the way they go about it warrants them being completely replaced,” Daniel Andrews said, a co-founder of Captains for Clean Water. 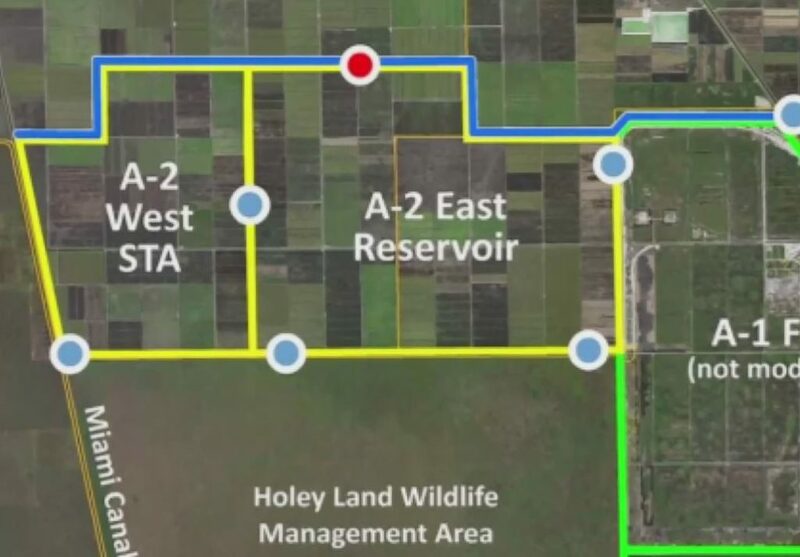 It started back in November, when the district voted to extend a lease with sugar company, Florida Crystals, on land south of the lake. It is the same parcel of land where a $1.4 billion reservoir is slated to be built. Portions of the plan. Photo via WINK News. But in a statement, the management district insisted construction of the reservoir will still proceed normally. Still, the Captains for Clean Water founders Chris Wittman and Andrews are skeptical of the board’s motives since the lease extension was only added to the meeting agenda at 9 p.m., a couple hours before the meeting. Leaving almost no time to notify the public or hear counterarguments. Andrews and Wittman have now taken their fight to Washington where they are meeting with lawmakers about the future of the reservoir. 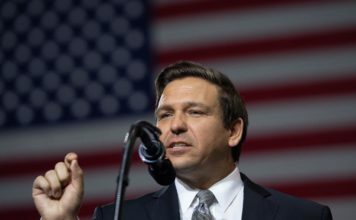 Governor-elect Ron DeSantis has not weighed in yet. Many are waiting to see what will happen next.